Elsa Bernaut met Ignace Poretsky in Moscow in 1921. Using the name Ignaz Reiss he was working as a spy for Felix Dzerzhinsky, the head of the All-Russian Extraordinary Commission for Combating Counter-Revolution and Sabotage (Cheka). They married and returned to Poland with her husband. In 1922 he was arrested and charged with espionage. Facing a five-year sentence he managed to escape on the way to prison. Ignaz Reiss, accompanied by his wife, Elsa Poretsky, was now sent to work in Berlin. During this period he became friends with Karl Radek, Angelica Balabanoff, Theodore Maly, Richard Sorge and Hans Brusse. In 1927, he returned briefly to the Soviet Union, where he received the Order of the Red Banner. Reiss spent time in Vienna before obtaining a post in Moscow, where he joined the Polish section of the Comintern. 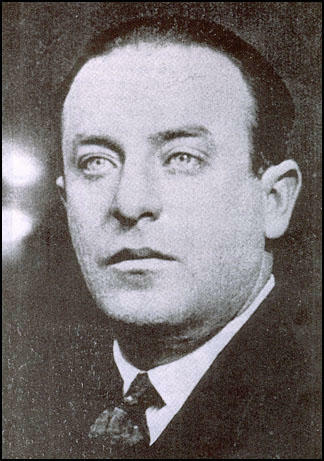 In 1932 Reiss became a NKVD official in Paris. He was therefore out of the country when Gregory Zinoviev, Lev Kamenev and fourteen other defendants had been executed after they were found guilty of trying to overthrow Joseph Stalin. This was the first of the Show Trials and the beginning of the Great Purge. According to Gary Kern, the author of A Death in Washington: Walter G. Krivitsky and the Stalin Terror (2004): "The Zinoviev-Kamenev trial of August 1936 defamed Lenin's confederates, in a sense the founding fathers of that state. When he learned of the trial's monstrous conclusion, the death penalty for all sixteen defendants, he felt he could no longer belong." Ignaz Reiss met his old friend, Walter Krivitsky, who was also working for the Russian Secret Police, and suggested that they should both defect in protest as a united demonstration against the purge of leading Bolsheviks. Krivitsky rejected the idea. He suggested that the Spanish Civil War, which had just begun, would probably revive the old revolutionary spirit, empower the Comintern and ultimately drive Stalin from power. Krivitsky also made the point that that there was no one to whom they could turn. Going over to Western intelligence services would betray their ideals, while approaching Leon Trotsky and his group would only confirm Soviet propaganda, and besides, the Trotskists would probably not trust them. 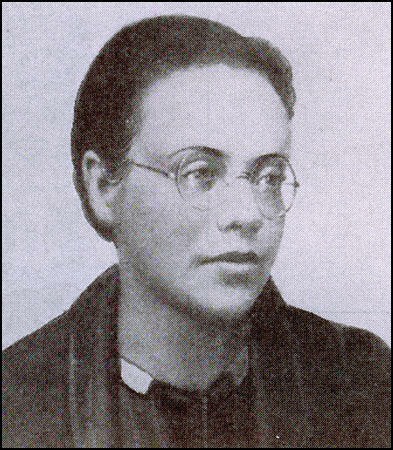 Elsa Poretsky visited Moscow in early 1937. She noted that: "The Soviet citizen does not rejoice in the splendor, he does not marvel at the blood trials, he hunches down deeper, hoping only perhaps to escape ruin. Before every Party member the dread of the purge. Over every Party member and non-Party member the lash of Stalin. Lack of initiative it's called, then lack of vigilance - counter-revolution, sabotage, Trotskyism. Terrified to death, the Soviet man hastens to sign resolutions. He swallows everything, says yea to everything. He has become a clod. He knows no sympathy, no solidarity. He knows only fear." Within the administration of the ADT, a clandestine unit called the Mobile Groups had been created to deal with the ever increasing problem of possible NKVD defectors, as officers serving abroad were beginning to see that the arrest of people like Yagoda, their former chief, would mean that they might be next in line. By the summer of 1937, an alarming number of intelligence agents serving abroad were summoned back to the Soviet Union. Rumours began to spread that these men were being executed. Richard Deacon, the author of A History of the Russian Secret Service (1972) has pointed out: "Ignace Reiss suddenly realised that before long he, too, might well be next on the list for liquidation. He had been loyal to the Soviet Union, he had carried out all tasks assigned to him with efficiency and devotion, but, though not a Trotskyite, he was the friend of Trotskyites and opposed to the anti-Trotsky campaign. One by one he saw his friends compromised on some trumped-up charge, arrested and then either executed or allowed to disappear for ever. When Reiss returned to Europe he must already have known that he had little choice in future: either he must defect to safety, or he must carry on working until he himself was liquidated." Walter Krivitsky was also recalled to Moscow. He later claimed that he took the opportunity to "find out at firsthand what was going on in the Soviet Union". Krivitsky wrote that Joseph Stalin had lost the support of most of the Soviet Union: "Not only the immense mass of the peasants, but the majority of the army, including its best generals, a majority of the commissars, 90 percent of the directors of factories, 90 percent of the Party machine, were in more or less extreme degree opposed to Stalin's dictatorship." Krivitsky met up with Ignaz Reiss in Rotterdam on 29th May, 1937. He told Reiss that Moscow was a "madhouse" and that Nikolai Yezhov was "insane". Krivitsky agreed with Reiss that the Soviet Union had "devolved into a Fascist state" but refused to defect. Krivitsky later explained: "The Soviet Union is still the sole hope of the workers of the world. Stalin may be wrong. Stalins will come and go, but the Soviet Union will remain. It is our duty to stick to our post." Reiss disagreed with Krivitsky and said if that was his view he would go it alone. Elsa Poretsky also began to doubt the loyalty of Krivitsky. She began to wonder why he had been allowed to leave Moscow. She told her husband: "No one leaves the Soviet Union unless the NKVD can use him." Mikhail Shpiegelglass told Walter Krivitsky that Reiss had gone over to the Trotskyists and described him meeting Henricus Sneevliet in Amsterdam. Krivitsky assumed from this information that Stalin had a spy within Sneevliet's group. Krivitsky correctly guessed that this was Mark Zborowski. Krivitsky and another NKVD agent, Theodore Maly, tried to contact Reiss. Recently released NKVD files show that Shpiegelglass ordered Maly to take an iron and beat Reiss to death in his hotel room. Maly refused to carry out this order and criticised Shpiegelglass in his report to Moscow. Ignaz Reiss now joined Elsa Poretsky in Finhaut. According to Elsa his hair had turned white during the ten days he had been hiding in France. After several days he showed his wife a copy of the letter he had sent to Stalin. She now realized that "our world was gone forever, we had no past, we had no future, there was only the present." They had no income and nowhere to go. They also had no legal status anywhere. Elsa returned to their home in Finhaut and Reiss planned to take the train to Reims to meet Sneevliet. Victor Serge later wrote: "We arranged to meet him in Reims on 5 September 1937. We waited for him at the station buffet, then at the post office. He did not appear. Puzzled, we wandered through the town, admiring the cathedral... drinking champagne in small cafes, and exchanging the confidences of men who have been saddened through a surfeit of bitter experiences." Ignaz Reiss and Gertrude Schildbach went for supper outside of town. They left the restaurant and set off on foot. A car pulled up bearing two NKVD agents, Francois Rossi and Etienne Martignat. One was driving, the other - holding a machine-gun. Reiss was shot seven times in the head and five times in the body. The assassins fled, not bothering to check out of the hotel in Lausanne. They abandoned the car in Berne. The police found a box of chocolates, laced with strychnine, in the hotel room. It is believed these were intended for Elsa and her son Roman. On 11th November, 1937, Krivitsky had a meeting with Elsa Poretsky, Henricus Sneevliet, Pierre Naville and Gerard Rosenthal. Poretsky later recalled in Our Own People (1969) that Krivitsky said to her: "I come to warn you that you and your child are in grave danger. I came in the hope that I could be of some help." She replied: "Your warning comes too late. Had you done this in time Ignaz would be alive now, here with us... If you had joined him, as you said you would and as he expected, he would be alive and you would be in a different position." Krivitsky, visibly shocked by her response, said: "Of all that has happened to me this is the hardest blow." Boris Nicolaevsky decided to carry out an investigation to discover who the traitor was in the group. He approached another defector, Walter Krivitsky, and asked him for his views. Krivitsky suggested that Victor Serge was the traitor. We now know it was Mark Zborowski. As Gary Kern, the author of A Death in Washington: Walter G. Krivitsky and the Stalin Terror (2004), has pointed out: "Not satisfied with Krivitsky's abstract logic, Nicolaevsky pressed him to make a more specific report in short, to name his chief suspect. Krivitsky obliged in October 1938 with a personal letter to Nicolaevsky, again writing with painful deliberation and pedantic punctiliousness, but giving weighty reasons for suspecting Victor Serge. The verdict seems wrongheaded and even ironic today, in the light of what is known about Mark Zborowski, yet history has not completely cleared Serge of suspicion, despite apologies in the literature about his political lightheadedness and naive artist's indiscretion. Krivitsky points out that there was no other case in Soviet history of a man first arrested and imprisoned as a Trotskyist, then given not only his freedom, but also permission to travel abroad, all this at a time when other accused Trotskyists were suffering monstrous persecutions." Elsa arrived in America on 11th February, 1941. She reverted to her maiden name of Bernaut and got a job at Columbia University. Her true identity was discovered in 1948 and she was interviewed by the FBI. Mark Zborowski the NKVD agent who she believed was involved in her husband's death, also arrived in the United States that year. He immediately made contact with David Dallin and his wife Lilia Estrin. They helped him find employment at a factory in Brooklyn and set him up in an apartment. A few months later he moved to a more expensive home at 201 West 108th Street, where the Dallins also lived. It was later discovered that the NKVD were paying Zborowski to spy on the Dallins. In 1944 he helped with the search for Victor Kravchenko who had defected to the United States. The former NKVD agent, Alexander Orlov, appeared before the Senate Internal Security Subcommittee in September 1955. He disclosed that Mark Zborowski had been involved in the killing of Ignaz Reiss and Lev Sedov. Zborowski appeared before the committee in February 1956. He admitted to being a Soviet agent working against the supporters of Leon Trotsky in Europe in the 1930s but denied that he had continued these activities in the United States. Other evidence suggested he was lying and in November 1962, he was convicted of perjury and received a four-year prison sentence. Elsa Poretsky, the widow of Ignaz Reiss, had a meeting with Zborowski soon after he was released from prison. She asked him if he had leaked the letter from Walter Krivitsky that enabled the NKVD to find out where her husband was hiding in Switzerland and killing him. Elsa later told a friend: "A wry, pitiful smile on his distorted face and a shrug of the shoulders were his only reply." 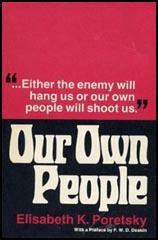 She published a book on her husband, Our Own People, in 1969. Elsa Poretsky died in 1978. Victor Serge’s natural curiosity had made him keep seeing all kinds of people, Party members, ex-Party members, former anarchists, every kind of oppositionist, until the day he was arrested in Leningrad in 1933. Some considered this showed courage, others irresponsibility. It was probably a bit of both, but carrying on as he did exposed others as well as himself to danger. More baffling still was the fact that Serge had managed to come out of the Soviet Union in 1936. We continued to have doubts about him.